Welcome and Shalom! 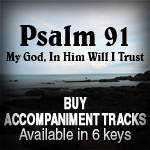 This site is dedicated to worshiping YHWH our God with songs written straight out of the Bible. 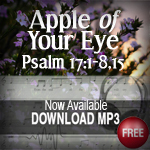 We, as a family, pray these songs will bless you, and help you hide God's Word in your hearts. Together with our home church, our goal as a family is to return to worshiping God with His Word, with "Psalms, Hymns and Spiritual songs". We pray that the songs we produce may glorify God and encourage other families in the body of Christ to worship Him together with songs and praises from Scripture. The Word of God edifies and builds families together as one that they may serve Him. 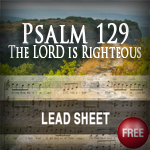 Scripture songs have been a significant part of our lives for several years now. By singing God's Word, we are meditating and proclaiming the Living Word of God that has the power to not only transform lives but also to impart life. It is the very core of our existence for by God's Word, the world was created. John 6:63 It is the Spirit who gives life; the flesh profits nothing. The words that I speak to you are spirit, and they are life. Wai and Esther have been married for over 25 years. They have 2 adult children, Rebekah and Samuel. Grace is Esther's sister, a trained music teacher and vocalist who also serves as the choir director of her home church. In June 2009, I was asked by my pastor to put music to scripture word for word, specifically to the 15 Songs of Ascents (Psalms 120 to 134). From the start of the first Psalm which I worked on (which was Psalm 130) to the completion of last one (Psalm 133), I have not ceased to be amazed, for the Lord gave me melody after melody to fit His words. I believe this is because we, the church of Jesus Christ, are entering into a season where these psalms will become more and more relevant, as we look forward to our Lord's return. (For a clearer understanding of the Songs of Ascents, please read the write-up by here: http://www.scripturesongsforworship.com/2012/06/songs-of-ascents.html). I thank my pastor, Ps. SM Lee, for allowing the Lord the use him to challenge me to the task. (Your feedback and guidance were crucial to keeping me on track.) I thank my church for enthusiastically learning and singing these psalms. (Hearing you sing them week after week gave me the encouragement to continue writing.) I specially thank my husband and soul-mate, KW Mui, for being very much a part of this project, and for providing me with all that I needed to work on these Scripture songs. (You were the first to have the vision that we would sing straight out of our Bibles!) I thank my children, Rebekah & Samuel, for their contribution, endless support and love. I thank my sister, Grace, for helping me with my vocals and diction, and for lending her voice. I thank my friends (in particular Pastor Wah Lok and Catherine Wong), for their feedback and encouragement. Most of all, I thank my God, my Lord and Master, for seeing me fit to be a channel for what He wants to bless the body of Christ with. Also a special thanks to Mr. Norbert for the use of the beautiful photos in the videos and thumbnails. The LORD bless you abundantly! 1. We believe in the entire Bible, both the Old and New Testaments, as the inspired Word of God (2Tim. 3:16), the only and absolute truth, the only basis of doctrine and the supreme authority for our life, ministry and faith. 2. We believe in the One true God; a Triune God in three persons of the Father, Son, and Holy Spirit. We therefore affirm the deity of God the Father, the deity of Jesus, the Son of God, and the deity of the Holy Spirit (Mt 28:19; 1Jn 5:7). 3. We believe that salvation is a free gift of God through the New Birth experience by repentance and faith in Jesus Christ alone as the only provision for man's sin and eternal life (Mk 1:15; Jn 3:16; Rom 1:16-17), and in Christ’s virgin birth, humanity, sinless life, death, resurrection and ascension (Rom. 5:8; Jn 3:16; 1 Thess. 4:14; Lk24:1-8; Acts 10:34-41; Lk 24:33-46; Acts 1:1-10; Eph 1:15-23). 5. We believe in the 2nd Coming of our Lord Jesus Christ in power and great glory (Lk 21:27), in which the living and departed saints will be resurrected and caught up in the air to be with Him forever (2Thess 2:5-8; Rev. 19:11-21, 1Thess 4:15-17). 6. We believe in the Final Judgment where the unbelievers and ungodly who are not found in the Book of Life will be punished eternally in the Lake of Fire, and the righteous, faithful believers will be with Christ and God to reign forever and ever (Rev 20:11-15). Thank you for the joy of knowing that these songs have been a blessing to you. May our God continue to comfort you through His Word. Amen, looking forward to our glorious inheritance where there will be no more tears, no more pain, no more sorrow, for He will make all things new. The peace of God be with you. I wanted to let you know that I have enjoyed listening to your songs for some time now. It is really helpful how you have the scripture written so one can listed and read at the same time. When its hard to just read it is good to listen to your songs and still read. I have written scripture songs for many years but haven't put them on anything, I'm not very techy but would like to do it like you do. Any tips that you have would be appreciated. If God wills maybe I will figure out a way. Still I enjoy your songs and pictures so much. I really enjoyed hearing these hymns and as definitely brought me more nearer and increased my Faith more to JesusChrist.Thanks you so much for all these videos and keep it up.Love ya and God bless you abundantly. Shalom. I have been looking for songs like these that you have written! Worship songs... Scripture songs. Music to let the Word wash over me as I listen... Scripture songs to learn and sing. I have been blessed by your freely giving also. This is how we are instructed to share, but it is truly rare. May you be blessed of the LORD with inspiration for more songs and strength to continue this work. Thank you so much for this work. I looked for a phone number to call you and say thanks but couldn't find one anywhere here. May God bless you more abundantly and continually. God has given you such a special gift, which you are sharing and blessing so many with. This is true worship! I believe more and more Christians will be led to this kind of worship straight from the Word of God. Thank you for your unconditional love and kindness. I love these! Wow the singing is so beautiful! The music is excellent! I listen to one per day and it makes me feel Gods presence even stronger:). Thank you for blessing us with these wonderful gifts!! God bless you! Your bearing great fruit for God by helping others as this is what directly builds our homes in heaven higher floor by floor. Everyone must bear fruit daily inorder to build their home in heaven. The Rapture is very soon so be ready! This is a gift. Thank you so much for sharing. So thrilled to find this site and learn more about how your ministry started. Praise God for His work and all the fruit that has come from this project. I am curious. What is the name of your church? Where is it located?